For those who don’t know, Black Mirror is a psychological thriller show originally shown on Channel 4 (the British television service), but as of 2014 it has been housed on Netflix’s servers. Without going into too much franchise details, Black Mirror has been dubbed the ‘twilight-zone’ for the digital age, meaning that with each episode it looks at a future unintended consequence of what technology might bring to humankind. Even though some episodes take the show’s signature morbid-sci-fi-twist a little too far, I can say that although these episodes can be hard to watch, the series brings a compelling commentary on the terrors and gifts that technology is capable of giving human kind. When I heard that this year the series would instead be releasing an interactive film, naturally I was generally excited about the possibilities of Black Mirror finally starting to reach towards an interactive medium. 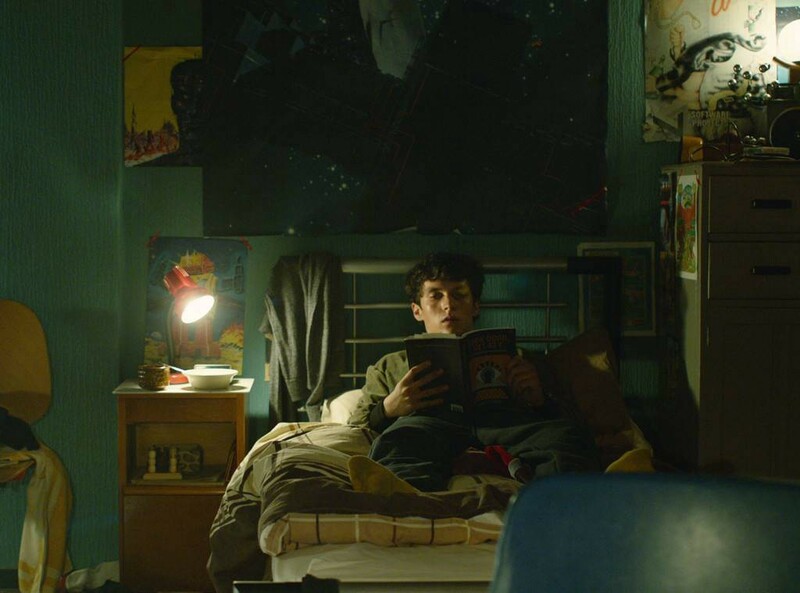 Enter Bandersnatch, a choose your own adventure about a young 1984 programmer developing a video game adaptation of a choose your own adventure fantasy novel amply titled Bandersnatch. What follows is a clever take on the interactive adventure trope of the main character (Stefan) becoming aware of his choices. 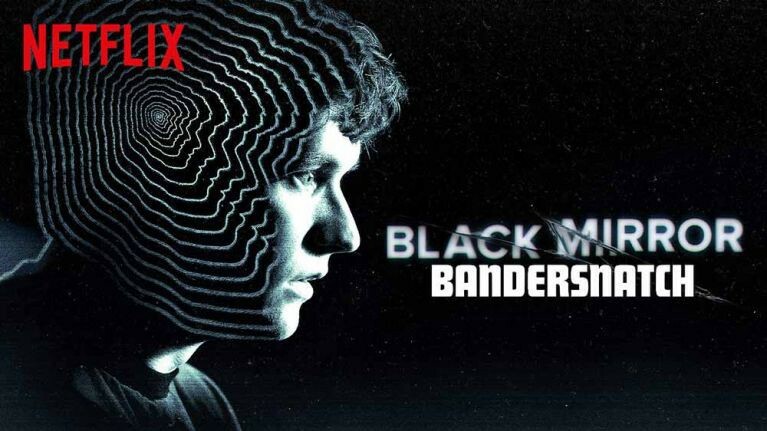 Bandersnatch’s story is unlike most Black Mirror episodes. Instead of harboring its signature dark-sci-fi-twists, it feels almost like a ghost story with some branches of comedy, conspiracy, mental health, and other-worldly phenomena. Now this might seem a little complex at first, but really the narrative only has around 3 arch-changing choices. Most choices are cosmetic, end in a game over, or abruptly end the story anticlimactically. In fact, the first choice that starts you on a new branch comes with the offer from Tuckersoft. Accepting the offer skips forward to a rushed game, and you are promptly told by professional game developer Colin that ‘you made the wrong choice’ and then you restart. Only then does the game loop, but with the gimmick that the main character has deja vu. So, although this graph seems at first like there might be a lot of choices there are not that many that give you differing meaningful content. What I’m getting at here, is although the journey is fun, the explanation, reveal, and twist that make Black Mirror so satisfying is scattered throughout the narrative. Instead of a succinct delivery summarizing what transpired, we only have theories about the unfortunate events that transpire. Is this a bad thing? Well from a film standpoint, yes, it is less compelling, but at the same time this way can be more mysterious, the writers have a lot more freedom, and as a result there is a lot of room for meaningful easter eggs. 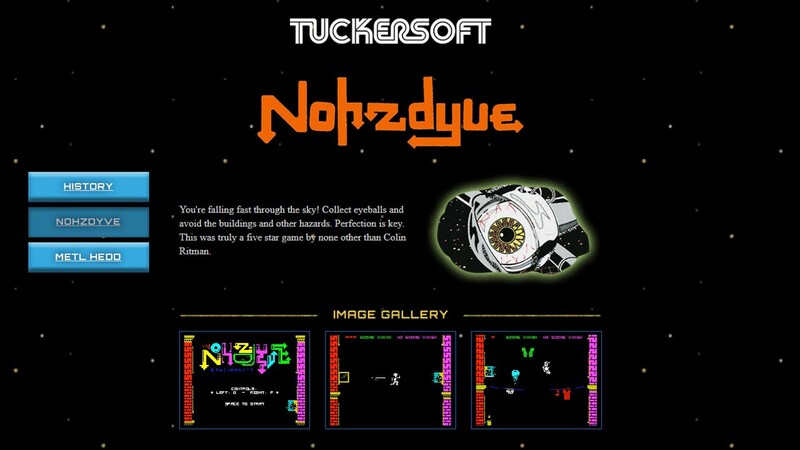 Which speaking of easter eggs, the film is riddled with them, including an out of game download for a real ZX Spectrum (an old computer) game, playable on an emulator. But this all depends on what that freedom was used for, I think for what it’s worth Bandersnatch makes it work, but it is still sad to see it make the same mistakes that many narrative-film-like-video-games have made before. Especially when a simpler narrative-flow would have fixed this and would allow for a more cohesively tied together story. So just to be clear, I am not advocating for a more simple or complex looking flow, something like the chart above would need a lot of resources to work. 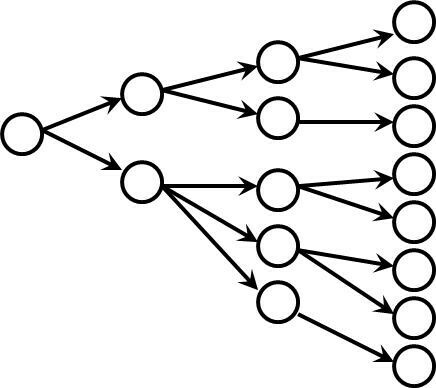 The chart below still provides choices, but they all lead to the same node. This is how most games allow players meaningful choices, while still providing a compelling narrative. The player has no choice but to hit these key plot points. Bandersnatch does follow this to an extent, but what it lacks are endings that feel tailored to the choices you made. Ultimately your choices mean more, as it shifts the story until it ends in a unique place. But judging by how unique the endings are, it feels like the project might have been better off with a different structure, and surprisingly the story even knows this! In one of the branches, after some morbid events, Stefan explains that he finished the video game in time, but only because all the pathways lead to the same spot, exclaiming ‘players only have the illusion of choice.’ This is the only ending where the game gets 5 out of 5 stars. Every ending although slightly different, comes with the ‘review show’ detailing exactly how well the game was received, rated out of 5 stars. This is a nice way to cap off all the different choices, but the problem remains that some story branches of Bandersnatch often don’t lead back to a core that is properly explained. The gimmick that ties everything together is this illusion of control, but because of this lack of explanation, most endings feel disjointed. And this is probably for a good reason, the film obviously wants you to try again to get a different ending, because chances are you’ll find one that you like, that gives you just enough information that satisfies the mythically huge curiosity Black Mirror: Bandersnatch holds. Just the title alone implies it, with a reference to Lewis Carrol’s Through the Looking-Glass, the real strength of this interactive story is in its backbone of cultural references and tropes. 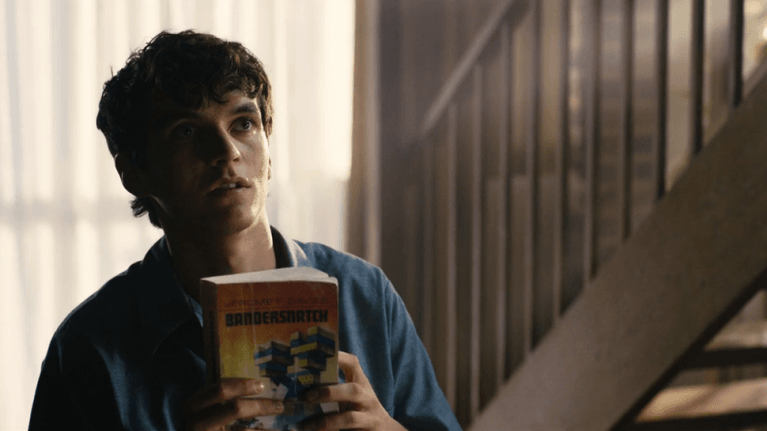 For all its possibilities Bandersnatch’s enjoyment lies in finding new story branches rather than enjoying the story itself. In other words, the story mostly becomes secondary. There is one notable exception to this: although it doesn’t give the proper black mirror explanation that is absent in Bandersnatch, one ending does provide a bit more closure then the rest. Upon entering TOY into the safe, Stefan quite literally goes through the looking glass, like Collin (the idol programmer) had told him, and instead of being forced to say “No” when asked by the Mom if he was going to get on the train, you are given the option of saying “Yes.” In doing so, the past is altered, and Stefan dies with his Mother on a train. But instead of stopping there, in the most Black-Mirror-like twist in the film, a surreal cut into Stefan’s therapist’s office reveals that he has just passed away in an instant. What makes this ending better than most is that it relies on the playthrough of multiple differing branches to unlock. In a way, it ties together a lot of the incomplete threads throughout the story. That being said, it is not enough for me to forgive the film for being interactive. Had it been a stand-alone Black Mirror film, I am sure the experience wouldn’t lack the depth related to controversial technological topics that Black Mirror is so famous for. At the same time, it could be a lot worse, and I think Black Mirror: Bandersnatch is a great starting point for main-stream interactive films. 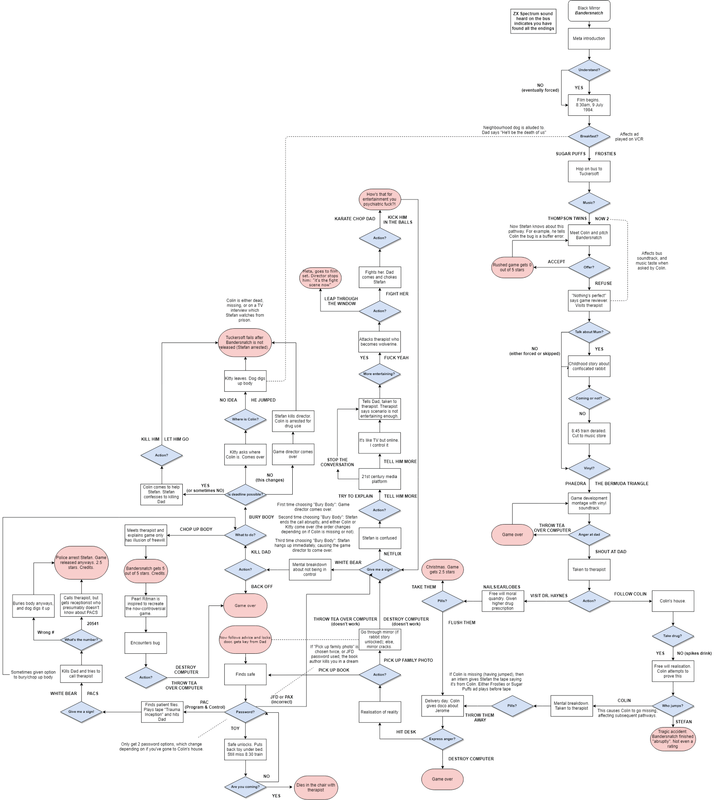 Bandersnatch provides a good foundation to work with and I’m sure it comes with plenty of easter-eggs that have yet to be discovered. All in all it’s an entertaining interactive film, but a bad Black Mirror episode. Player Experience Designer | Champlain College 2018 | I talk about techno life and design ethics while I make games.